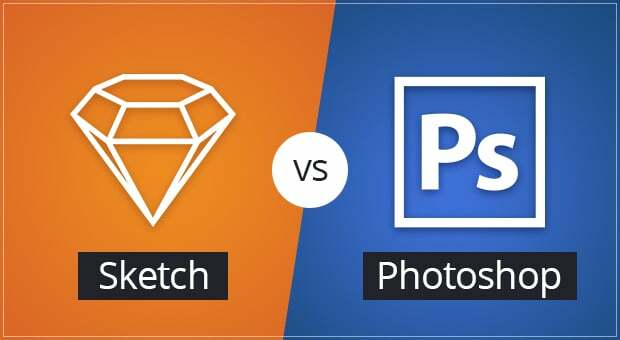 In response to our previous post, “Why We Stopped Designing Apps with Photoshop (And Saved Our Client’s Money)” I received quite a few comments; Some raised very interesting and specific questions, so I thought it would be important to dig deeper into the issues and differences that people raised, which led me to write a follow up post focusing on some of the main concerns. For those who missed the previous post, in it I explained how for almost a decade our main user experience and interface design tool was primarily Photoshop. However, six months ago, we made a decision to adopt Sketch. You can read the full post here, and then come back to this one, which will hopefully answer any follow up questions you might have. Until we started using Sketch, we primarily designed apps using photoshop, but mostly designing the initial stage (flows and wireframes) in Illustrator. It’s true that there are other, more dedicated tools for that purpose, such as ‘axure’, ‘balsamiq’ and more. But for us the choice of using Illustrator was a simple one. As designers, we are very experienced in the Adobe suite, and being able to easily jump from one app to another was very convenient. That being said, we now design both wireframes and full UI using Sketch, as it certainly eases the overall work process and is great for both. I know (now) that the transition from Photoshop to Sketch is relatively simple but it’s important to remember that we are not a couple of freelancers. Switching over a studio of more than 12 designers, working with dozens of developers, with large scale clients, active projects and hundreds of raw Photoshop files, isn’t a simple task at any time. Though it was still a risk we felt we needed to take. Keep in mind that many of our clients have in-house studios, with design teams creating their marketing materials for them as well. This made our transition even more tricky as everything had to work well together, not only with our internal design team, but with our client’s teams (who absolutely need materials in the worst formats you can imagine). I’ll admit that this task hasn’t been fully solved as of yet and is an ongoing process. Yes, Sketch does have some downsides, and one of the challenges we have faced is sharing internally between designers. There’s the Craft plugin from InVision and a few other solutions but they are still far from perfect and none is at the same level of Adobe Creative Cloud Libraries. Of course we do, we just don’t use it for designing mobile apps or anything that needs to be developed. Both Uri and I (the founders of Yellowtale), have mentored young designers at the Adobe Design Achievement Awards’ program for years, and have trained more than a few designers using some of their amazing tools, so we obviously still have a great appreciation of Photoshop. It’s a wonderful tool for creating and enhancing every designer’s photos, creating new visuals that would otherwise be impossible to make, etc. And yes, there are more interesting new tools that we can use to design UX and UI such as Principle, Flinto or Adobe XD. But you have to admit that it’s been too long since small companies has managed to disrupt an entire industry and for us designers, It’s doing a whole lot of good. In the process of planning your app development or design roadmap? Looking for a world class app design studio? Looking for a mobile app development and design agency that offers end-to-end strategy, design, development, marketing and execution?